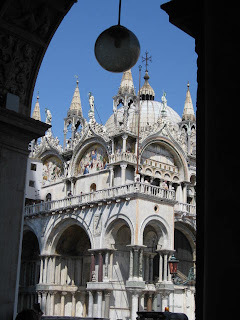 Coming soon - Venice 2010! 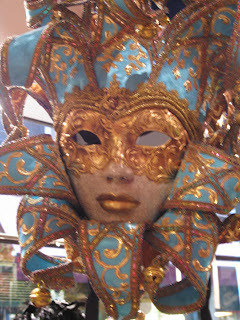 To get in the mood I've been looking at my Venice pictures from 2 years ago. 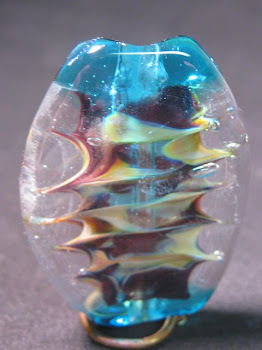 Stay tuned for more photos later. 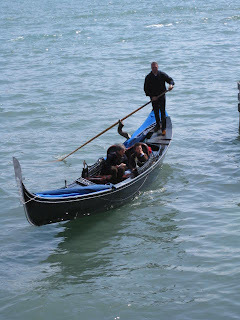 A gondola on the Grand Canal. 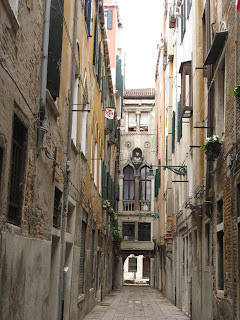 Here's how the "streets" look. 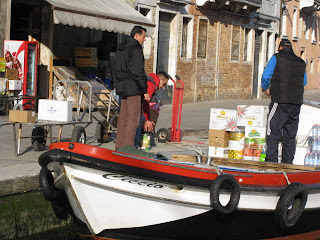 Everything comes into Venice via boat and in the early morning they bring in the goods and unload with handcarts. 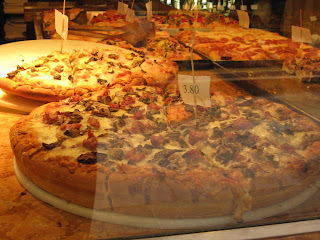 This was a shot thru a window at their pizza offerings that day. Yum! 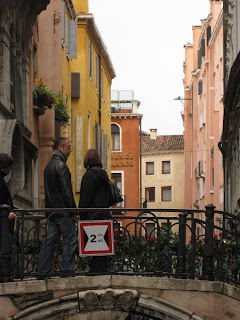 A typical canal and bridge. 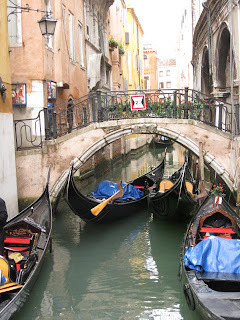 Another canal but this one seemed to be a "parking" area for gondolas. 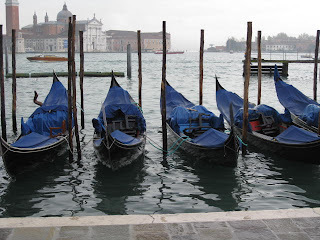 I stayed on the island of Murano so took the vaporetto back and forth. 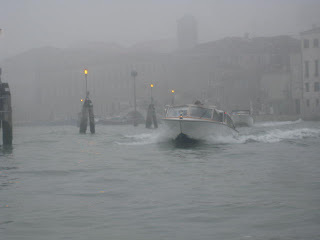 Some days it was quite foggy. 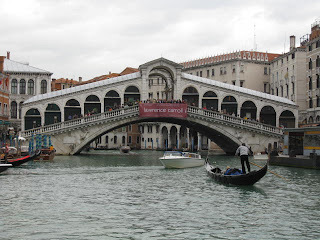 The famous Rialto Bridge spanning the Grand Canal. 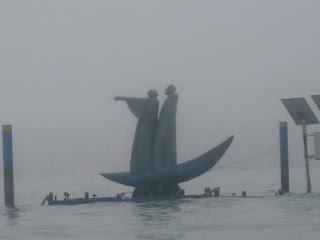 I never did find out what this statue was for - it was near Venice, in the lagoon, on my trip from Murano to Fondamente Nuove. 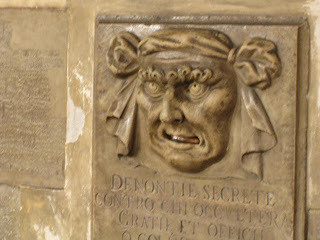 This guy was in the Doge's Palace and was for people to put information into - kind of a post office for tip offs! 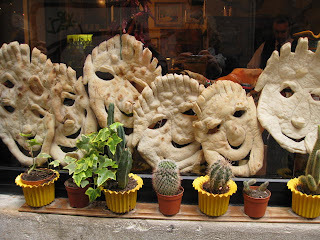 Some baker was quite clever making these breads into faces. 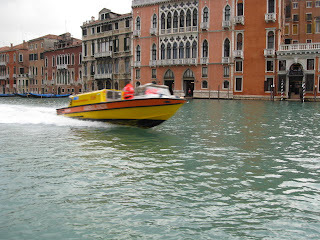 This was a police boat on the Grand Canal.